Stantec is a top-tier global design and consulting firm ranked No.3 in North America and 10th globally. From humble beginnings as a one-person firm in 1954, Stantec today has a huge geographic presence extending to 400 locations in six continents. By revenues, US is its largest market accounting for 54% of total sales, followed by Canada (30%) and other global markets (16%). Stantec primarily earns revenues from consulting services under fee-for-service agreements. The company operates through five business units – infrastructure (27% of revenue), buildings (22%), water (21%), environmental services (16%), and energy & resources (14%). The company provides varied professional services ranging from architecture, environmental, and community development to oil & gas, power engineering and water & waste management engineering. It serves a wide range of markets such as civic, educational, industrial, health, mining, power, transportation, oil & gas, water etc. Stantec is highly diversified by client type, business line, and geography, which reduces its dependency on any particular industry or geography. It supplier base is also diverse consisting of companies of all sizes and backgrounds. Stantec has been growing through acquisitions and has successfully completed 130 acquisitions since 1994. It is expanding its geographic footprint and has made three acquisitions outside of North America last year. Stantec is in a good position to leverage its leading position and benefit from growth opportunities in power, oil & gas and water sectors in Canada; growth in mining, water power & dams sectors and community development in the US. Growing global demand in environmental services and infrastructure will also act as a strong tailwind for Stantec. Stantec has a proven track record of significant project wins, timely project execution and a rock solid balance sheet which results in sticky client relationships. The company caters to a diverse client base which is well-balanced between the public and private sectors and built through strong relationships. A large team of designers, engineers, scientists, and project managers at Stantec work behind the scenes to improve the quality of life in communities around the world. Stantec has a long term target to grow at 15% CAGR through a combination of acquisitions and organic growth. The company offers a good mix of local expertise and global reach, consulting services and project execution, and an integrated business model which makes it a clear industry winner. 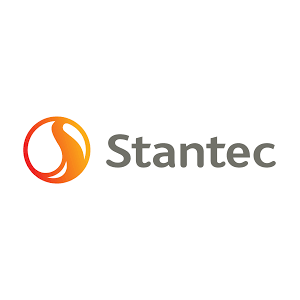 Stantec last raised its dividend by 5.5% paying C$0.145 per share as dividend which equals to C$0.58 annually. It is a Canadian Dividend Aristocrat and has a current annual yield of 1.8%. It has grown its dividends at over 10% CAGR in the last five years. The company has grown its revenues and earnings at 12% and 7% CAGR respectively, over the last decade, and should continue to do so in the future driven by strong project backlog and solid client base. Stantec has a good experience of identifying and acquiring firms that complement its business model. Strategic acquisitions have resulted in expanding the company’s offerings, geographic footprint and client base. The integration of MWH Global business, Stantec’s largest ever acquisition, has resulted in US$25 million in cost and revenue synergies, which exceeded expectations. This acquisition not only expanded Stantec’s geographic presence but also added renowned industry experience in water design. Stantec is a leading global design and delivery firm with a rich heritage. With 65 years of experience under its belt, the company has developed an extensive and unparalleled knowledge base of global architecture and consulting engineering. As a leading global provider of comprehensive professional services, Stantec is in a good position to grow on the back of strong infrastructural growth worldwide. With Stantec’s inclusion in the top ten global design firms, it stands a good chance to work with the world’s leading clients on innovative and world changing projects. Stantec competes with the likes of SNC-Lavalin TSE:SNC, which is Canada’s largest engineering and construction company by revenue. It also competes with WSP Global, Aecon Group, Dirtt Environmental Solutions etc. Stantec’s integrated platform provides an operational advantage when compared to its peers. One of the key differentiators for Stantec is the fact that the company does not rely on a few large projects for its revenue. It is open to working with both large and small contractors for varying fee rates. A diversified business model, strong client relationships, disciplined acquisition strategy, and robust capital structure positions Stantec well to increase its long-term shareholder value. The company should continue its dividend hikes at the same pace in the future, on the back of global growth and increased infrastructure spending. On the flip side, growth has been tied to acquisitions as opposed to being a dominant player and demanding a premium for its services. I prefer railway stocks in the industrial sector if you don’t have any.